Recently I have been trying to find recipes for cake that are gluten free as I have a friend who is gluten intolerant. Unfortunately I have not been very successful. My cakes are either too dry and crumbly or are really dense. I have yet to find a recipe that gives me the perfect texture. If any of you readers have tips that work, please do share in the comments below. I am really pleased that in the interim I have found a cake mix that really works. This gluten free Orange and Poppy Seed cake by far is the best I have ever made, its from a packet mix from Marks and Spencer's new range. All I was required to add to the packet mix was oil, two eggs, poppy seeds and whisk and bake. It was delicious. However I am going to try the recipe next time without the eggs and by adding an egg substitute so will share my results soon. A delicious light and airy cake with a subtle orange citrus flavour. Dairy free coconut yoghurt for serving. 1. Preheat the oven to 180 degrees C and line a 2 lb loaf tin with paper.2. Peel and slice the clementines in rounds and place them in a pan with 2 tablespoons water and 3 tablespoons sugar and bring to a slow simmer, lower heat and cook for 10 minutes and turn off the heat , keep aside to add as garnish o the cake.3. In a bowl add the oil and water and eggs and whisk together.4. Add the cake mix and fold gently.5. Pour the cake batter into the prepared loaf tin and bake in the pre heated oven for 30 mins or until cake is golden brown and a skewer inserted in it comes out clean.6. Remove the cake from the oven and leave to cool.Once cooled transfer the cake to a serving dish and spoon over the cake the prepared clementine slices. This looks really good, when I get my new place I hope to have a kitchen with a larger oven so I can bake again. Thanks for sharing. The cake looks delicious. I like that it's from a ready mix as it makes baking so much easier. That is such a moist and delicious looking cake. 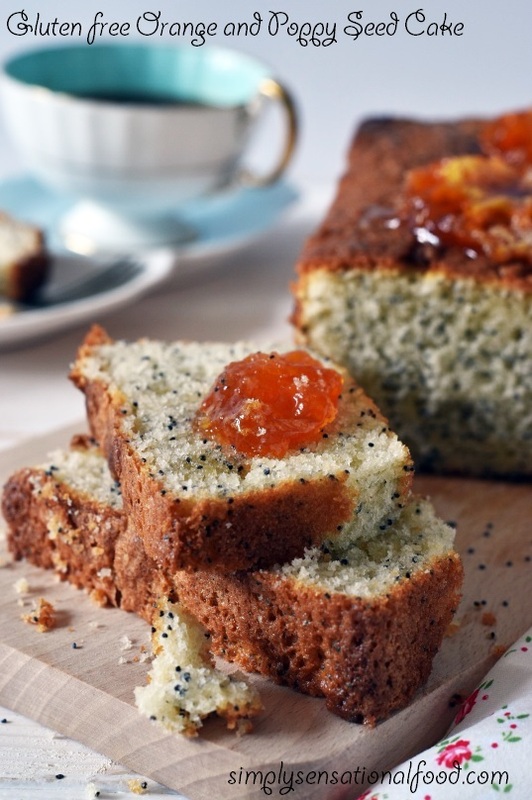 LOVE those poppy seeds peeking through and it looks so yummy with the clementine jam on top. 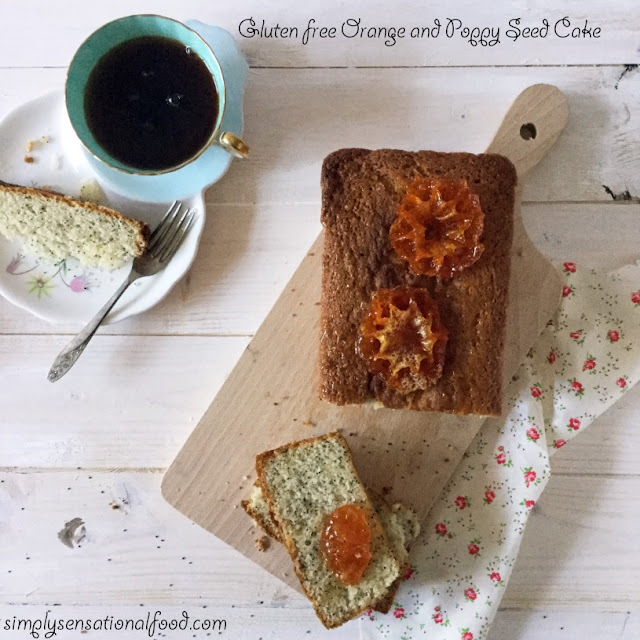 Absolutely gorgeous and perfect tea time cake with great flavours from the oranges. Lovely bake. Such a lovely looking cake and I bet it is delicious as well. Just do not have the patience for baking! I love citrus flavoured cakes and this looks super delicious. I haven't tried cake using poppy seeds and will try sometime. I love when I find a good mix! It saves so much time. Really like the addition of the clementines as garnish. They really fancy the cake up! Such beautiful pictures of the cake. I used orange in my cake but poppy seed is totally new for me. Love the texture of the cake. What a beautiful pictures. I have used orange in my cake but poppyseed is new for me. Love the texture of cake slice. Wow, a quick cake for instant crave. Poppy seeds in the cake, never tried. I should try it. This must be very unique. I am a big cake fan, especially a poppy seed cake. I've never had it with orange,but it is one of my fave fruits. I love citrus flavours in a cake or bread. With poppy seeds little crunch must be so fun to eat this cake. Nayna this sounds super cool cake with tea. I loved the texture and so moist look. Poppy seed has to be one of my favourite kinds of bread/cake. I would eat the entire thing in one setting and wouldn't think anything else of it! You got something new right there, I hope to find time to make this! 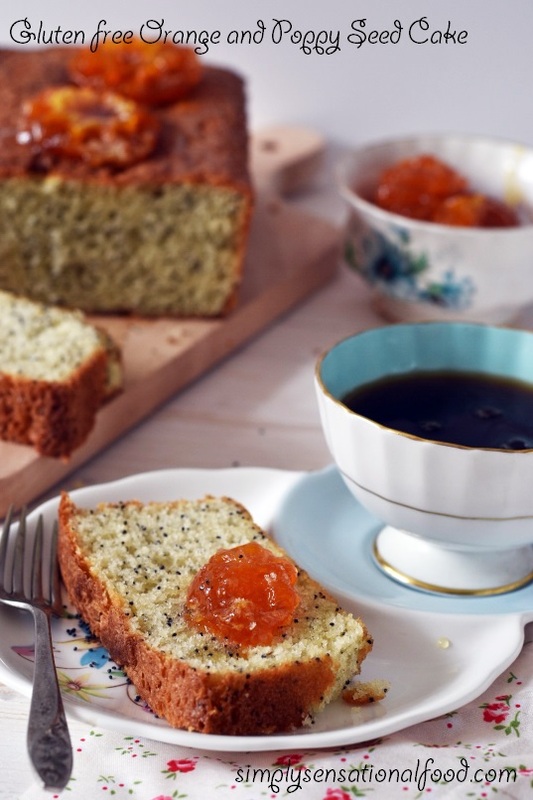 I love poppy seeds in baked recipes and this cake with orange sounds bursting with refreshing flavors. Bookmarking to try. This looks totally delicious! I've had lemon and poppyseed before but not orange and poppyseed - can't wait to try it! Mouth watering and perfect tea time cake with great flavors from the oranges. I love the post!! Orange and poppy seeds sounds delicious.. Those black poppy seeds has given an awesome texture to the cake..
Looks delicious and the flavours are different combination poppy and orange, do need to try sometime. I love lemon poppy seed muffins and now I want to try the orange poppy seed combination! I think it will be so yummy! The cake looks so soft and spongy. Never had a cake with poppy seeds.. Interesting ! A lovely combination of orange and poppy seeds. 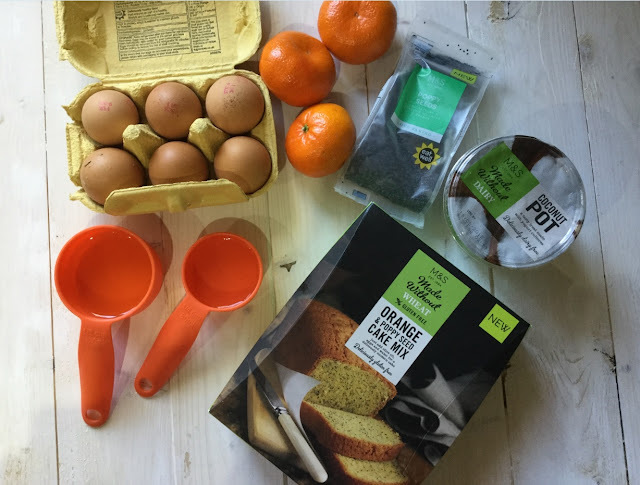 I make lemon and poppy seeds muffins and cake, but have to try with orange. I once tried a gluten free cake and it was a disaster.